After reading the reviews and the sneak peaks here on Amazon, I was expecting a great book from Mr. Schwartz. What I did not expect however, was how absolutely brilliant it was going to be! What Schwartz does with the monsters to teach about prime numbers is both beautiful and ingenious. I homeschool 3 boys of primary school age. Our oldest son is autistic and has an extreme aversion to math. Our second son is the complete opposite, devouring anything and everything numeric. He's followed by our youngest who needs a thrill to sit still. All of my boys LOVE this book! My oldest (who is *the one* who would benefit the most from reading it) shied away from it at first. He's a bright boy and knew all too fast that the book was teaching math, a subject in which he struggles so much with. Well, after listening and watching me read this book, and seeing both his mother and his younger brothers having so much fun as we all "played" along, he had to come over and join in. He loves it! My two younger boys are quite obsessed with it. I have to give them turns with it!. I highly recommend this book to anyone who has a struggling learner/special needs child. With all of its benefits academically, I would (and will) buy the book for adults as well, if not just for the art work! It's amazing (and clever!) how Mr. Schwartz brings to life these numbers! As an adult who's also had an extreme aversion to math (my entire life) I can honestly say that Mr. Schwartz is the first person to claim that math can be fun, and then went on to prove it to me! What's more, is that he proved it to my child(ren)! Kids are naturally drawn to monsters, and the images in this book are very cute (not scary at all). The best, though, is the counting content...well done. I've bought several of these over the years for friends who are kinda nerdy--they always love it. 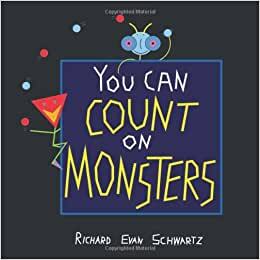 Today in my Math Mavens program, we opened the book You Can Count on Monsters by Richard Evan Schwartz for the first time. This is a book I bought because I heard glowing reviews of it on NPR. The concept of the book is teaching prime and composite numbers through colorful, geometrical monsters. It is written for any age, from preschool on up, and my students really appreciated it. They had a lot of fun looking at the monsters, spotting the prime monsters hidden inside the composite monsters, and describing what they saw. For example, one said the 20 monster looked like "two innocent two-monsters held in custody by evil nacho chips." For fans of Singapore Math or number bonds in general, you will also appreciate how each number is represented with a number of dots, the numeral, and a multiplication number bond for composite numbers. All in all, it makes a powerful set of connections for students between numbers, images and fun. 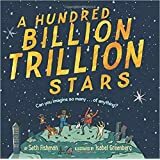 The book covers numbers 1 through 100, with an introductory section that explains factoring, prime and composite numbers, and how the book is designed, all with colorful images and not too wordy. A section in the back has a further exploration of prime numbers. A wonderful enrichment for any math education! This is one of my favorite books for learning about prime numbers and prime factors. Visual learners will love this book (I'm one), and fans of numbers should keep a copy on their shelf. I have always loved math and hope that my children will too. I firmly believe that good math learning requires creativity, to help learners understand the concepts rather than just memorize. 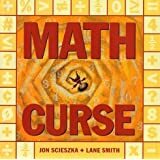 This book is a fantastic way to do that with multiplication and factors (and probably a few other basic elements of math that I don't know enough to name) for an elementary school age onward. My bright 5 year old daughter loves this at the moment, although I thought when I first looked at it that it would be too advanced for her. She enjoys looking for the images of the prime monsters within the pictures of composite numbers and sorting out their relationships ("look Mommy the three is poking the two and he doesn't like it" on the 6 page) on the right side of the pages. On the left sides, she is counting dots, adding and starting to learn multiplication. As a concept. Wow! Factors and composite vs prime numbers are introduced but full understanding will come as she gets a little older. I'm buying this again as a birthday gift for my niece who is about to enter first grade.